Katy Perry had an amazing year in 2013 and looks like 2014’s going to be a good one for her too as there’s loads more singles to come from her new album. 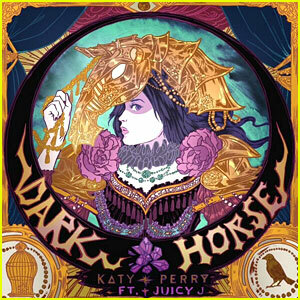 We’ve already had Roar and Unconditionally and the next single’s been announced as ‘Dark Horse’. What do you think of it? Let us know in the comment box below. I can play roar and unconditionally on piano and I’m working on dark horse. I heard it on the prism CD. Katy Perry is my Fav, She can do no Wrong!!! I love her Music and the Art Work would look so Cool on My Bedroom Wall!! !